Where was I? | Help! I live with my Italian mother in law! Oh yeah, so I went to Lucca for the Comicon and it was pretty cool. I got a small taste of what it must be like to be famous too. You see, when you dress up as a Disney character, everyone wants to take your photo and kids think you are the real deal from the films! It’s really cool to see their eyes light up when they recognize you and for a moment I felt like I was at Disney-world myself. We were so popular that we actually made it in the local newspaper too! We smiled, we laughed, we sang and I even walked in a parade! 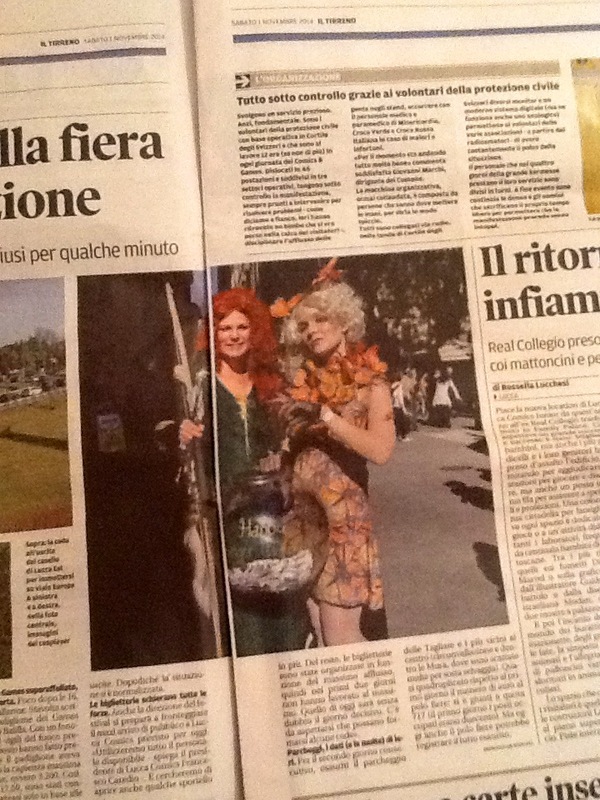 Here is a snippet of my final costumes…Merida, from Brave and Anna, from Frozen and in the newspaper photo, my friend Michelle as Effie Trinket, from the popular books and films, Hunger Games. 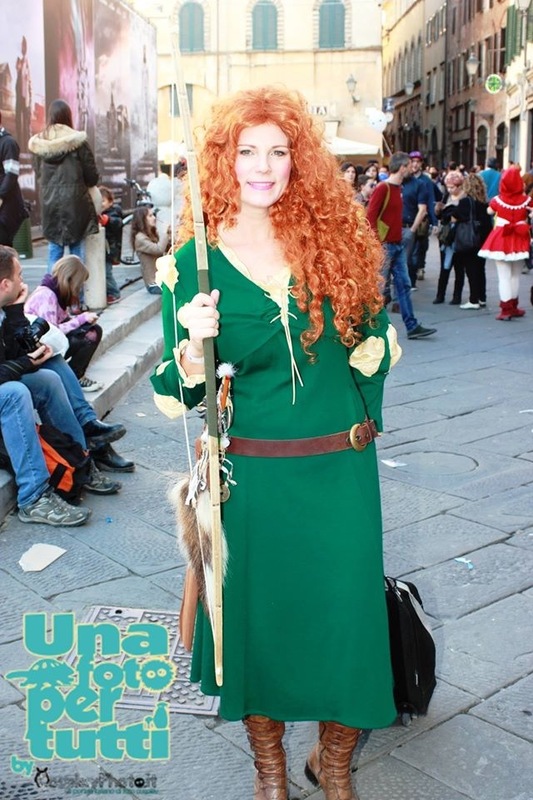 This entry was posted in Tourists, travel and tagged anna, brave, comicon, cosplay, costume, disney, elsa, frozen, lucca comics, tuscany. Bookmark the permalink. Pingback: Medieval Madness at Lucca Comics & Games 2015 | Help! I live with my Italian mother in law!